Also known as Ho Chi Minh, the dynamic city of Saigon is the start point of the tour. Spend half a day visiting the Notre Dame Cathedral, the former Presidential Palace and the War Remnants Museum before enjoying a local Vietnamese welcome dinner. After breakfast visit Cao Dai temple before experiencing the fascinating network of rivers in the Mekong Delta. Journey, by motorboat, to the atmospheric Cai Be floating market to watch the locals trading. Visit a small family business and immerse yourself in the nature of Binh Hoa Phuoc Village. 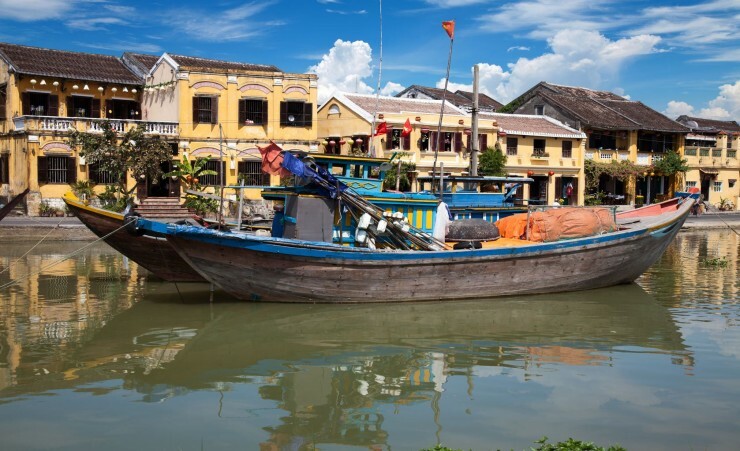 Fresh river food, traditional folk music and a bonsai garden await you before continuing to Vinh Long and then on to Can Tho, the largest town in the Mekong Delta. Your morning in Can Tho will begin with a gentle trip through the picturesque canals and waterways in a small boat, taking in the sultry scenery and daily activities of the small boat vendors of the floating markets who live along these Mekong canals, as well as stopping at the spectacular Cai Rang floating market - the largest in the entire Mekong Delta. Before cruising back to land enjoy tasting tropical fruits at the Ba Cong Garden House. 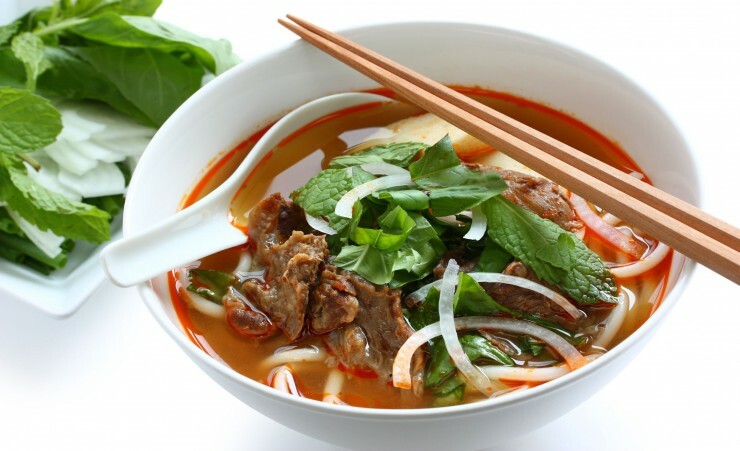 After enjoying lunch at a local restaurant you will be transferred back to your hotel in Saigon. This morning travel to the underground village of Cu Chi and discover the incredible 200km network of tunnels where the Viet Cong lived and fought during the war. Transfer to Saigon for a local lunch before catching your flight to Dalat. During this full day tour you will visit the French colonial town of Dalat, located in the South Central Highlands. Explore the unique Railway Station and marvel at the Linh Phuoc Pagoda. The cultural north gives you the chance to understand the daily life of the Lach minority, the indigenous people of Dalat and enjoy a traditional Gong Music show. A cable car ride allows you to take in the panoramic views of Dalat before heading down to the beautiful Tuyen Lam Lake, surrounded by pine forests and the serene Truc Lam Zen Monastery. 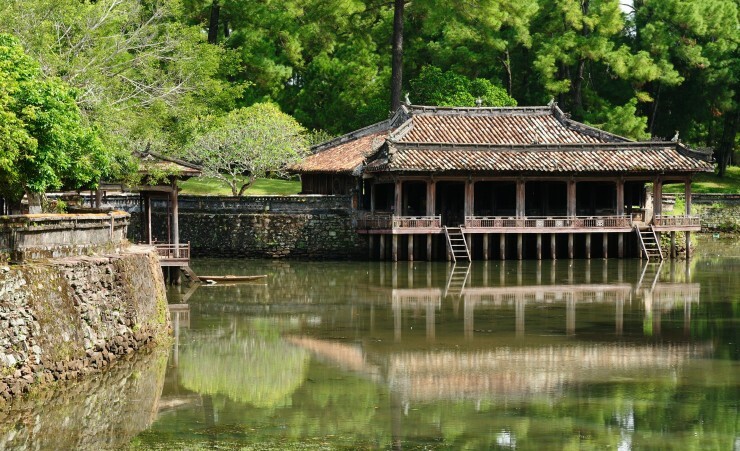 Finishing in the west, visit the Bao Dai Summer Palace to learn more about Vietnam's history. Leaving Dalat, you will transfer to the beach resort of Nha Trang for lunch. 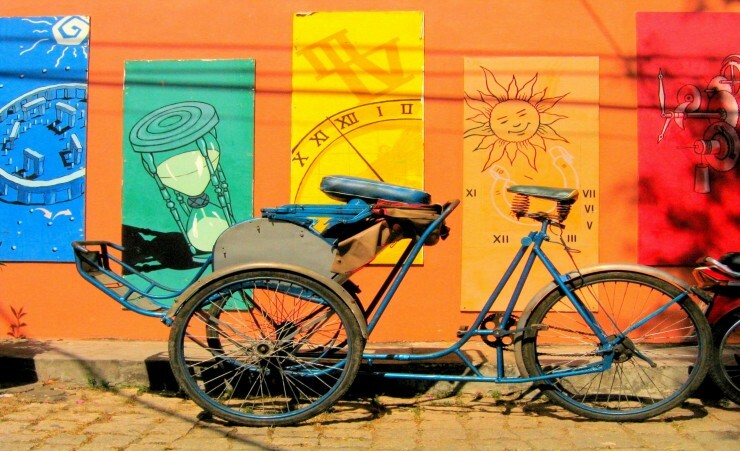 In the afternoon, visit some of the cultural attractions in and around the area to gain an excellent insight into the history and culture of the area. 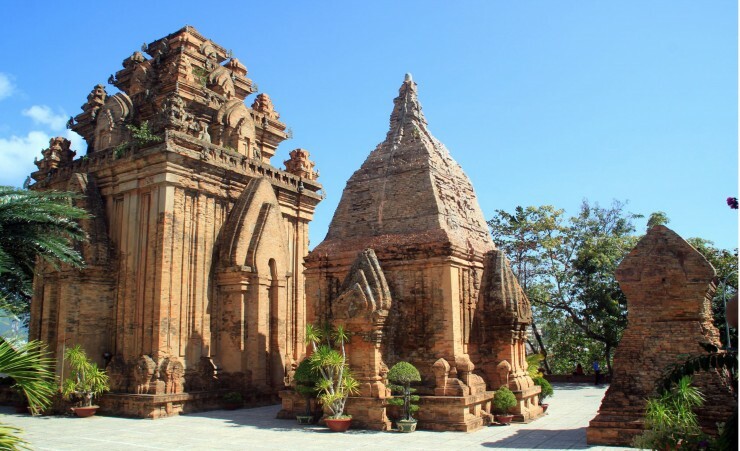 Begin with Long Son Pagoda, built in commemoration of the monks and nuns who died whilst fighting the Diem Government, and then see the Po Nagar Temples - fascinating examples of Cham architecture situated on Mount Cu Lao. Finish the day with some shopping at Dam Market. 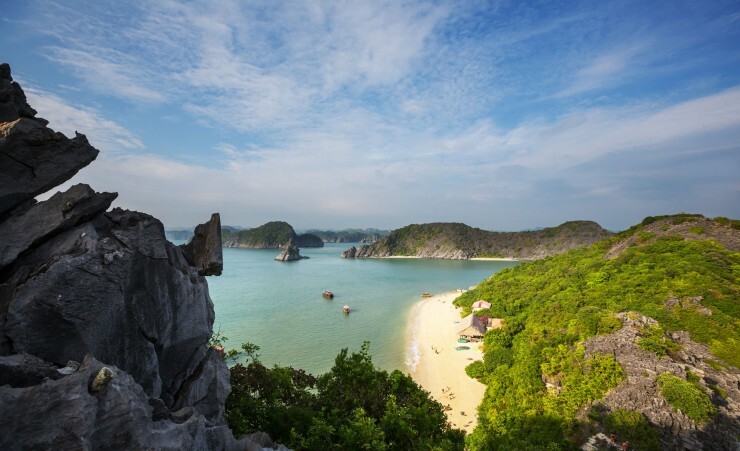 Today you will enjoy a day of island hopping, starting with a trip to Tri Nguyen Aquarium on the Mieu Island. 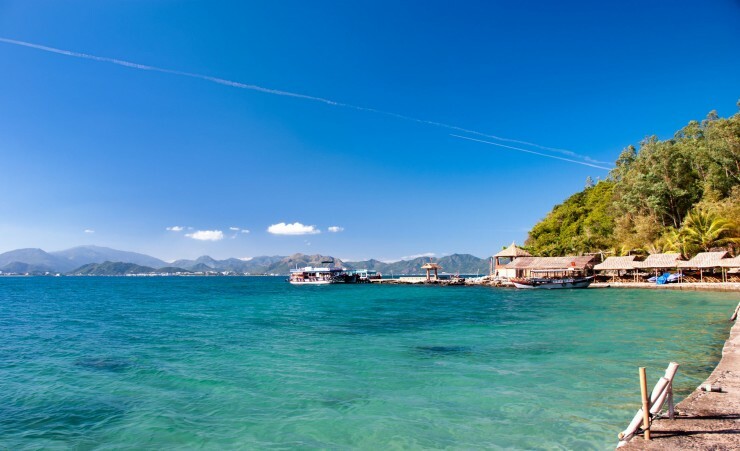 Continue to Mun Island, the best place for snorkelling in Nha Trang and blessed with a wealth of colourful coral reefs and marine life. 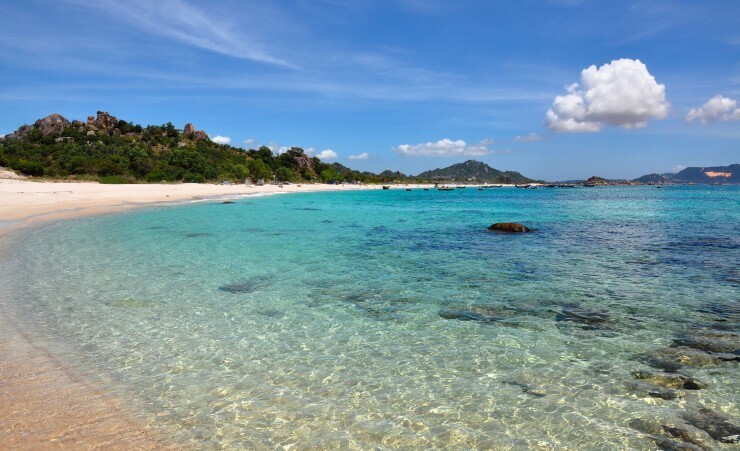 Have time to relax or take part in some water sports at Mot Island or Tranh Beach Island. 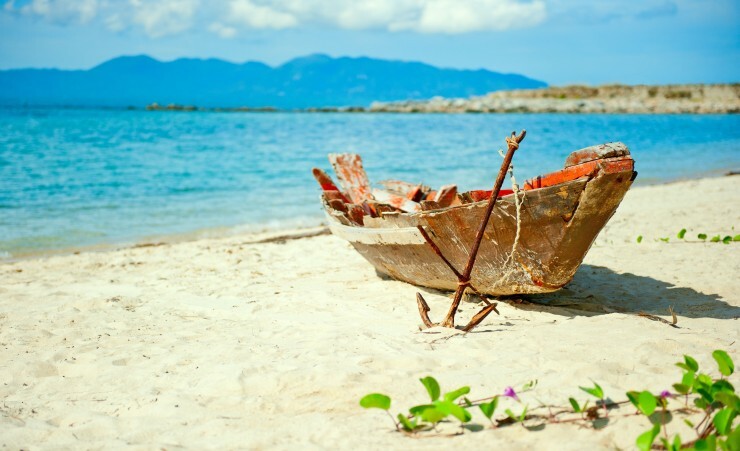 Enjoy lunch on Con Se Tre Island, before transferring back to your hotel in Nha Trang. After breakfast fly to Danang for your transfer to Hoi An for lunch before an afternoon tour. You will visit the Japanese Covered Bridge Pagoda, constructed in 1593 by the Japanese community. Next, see the Sa Huynh Museum which contains exhibitions from the earliest period of Hoi An's history. You will also see the Phuoc Kien Assembly Hall, a Chinese pagoda dedicated to the Goddess of the Sea. Finally, finish the tour with a visit to a lantern making workshop and visit one of the many local tailors who can make up bespoke clothing at incredible prices. 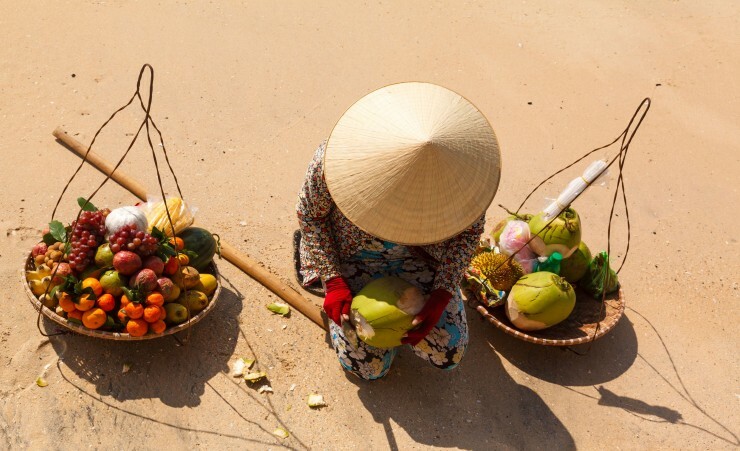 From your hotel, you will be taken to a port where you will embark on a boat trip to Thanh Ha pottery village to learn about the daily life of the local people that live there. See various pottery items being made before returning to the boat to visit Kim Bong carpentry village where you will learn about the history of the village and see their local handicrafts. Enjoy a free day to relax or further explore the town. The scenic drive from Hoi An hugs the coastline to Hue, the former capital of Vietnam. 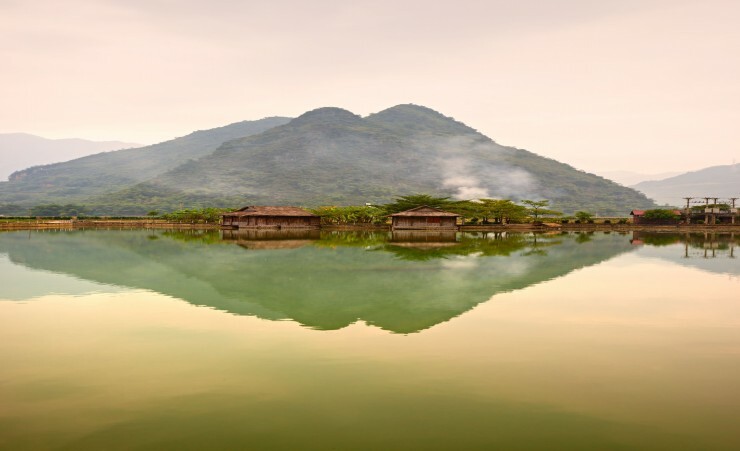 With a stop at the Marble Mountain to see the five marble and limestone hills, you will then reach Hue to visit the ancient Forbidden City. You will have some free time at Dong Ba Market before enjoying dinner at a local restaurant. Begin your day by boarding a traditional Dragon boat for a tranquil trip along the Perfume River. Stop at Thien Mu Pagoda and the Royal Mausoleums of Emperor Tu Duc, who ruled Hue over 100 years ago, before visiting the UNESCO World Heritage Site of the Royal Tomb of Khai Dinh. Later, fly to Hanoi. A full day tour of this historic city begins with the Ho Chi Minh Complex where the father of modern-day Vietnam declared the nation's independence in 1945. Visit sites including the Presidential Palace and One Pillar Pagoda, then drive to the Temple of Literature. After lunch, visit the Vietnam Museum of Ethnology before the evening highlight - a Water Puppet Performance, a unique form of Vietnamese art derived from the wet rice civilisation of South East Asia. Start your day with a calming Tai Chi session before a rowing boat takes you to Vung Vieng fishing village, a settlement completely floating on water and dating back hundreds of years. In the afternoon you will travel back to Hanoi. Following breakfast you will depart for Hoa Lu to visit the temples of Dinh King and Le King, built in the 10th Century for the heroic kings in Chinese War. Next travel on to Tam Coc for lunch and travel on a local bamboo boat in Hoang Long River. 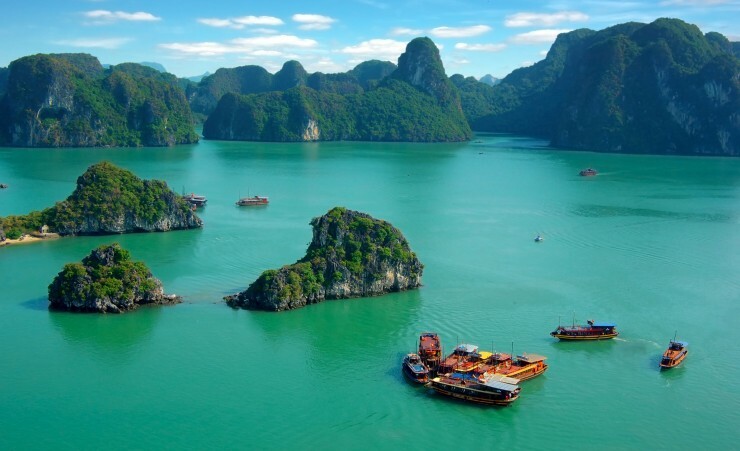 On the way, you will pass through three enormous caves and the striking limestone formations that the area is renowned for, before returning to Hanoi for your evening flight back to the UK. A visa is required for entry into Vietnam. You can apply for an e-visa online at https://evisa.xuatnhapcanh.gov.vn. The cost of the visa is approximately USD$25 and will take roughly 3 working days. Alternatively, we work closely with The Travel Visa Company who will be able to arrange your visa for you on your behalf. Please call them on 01270 250 590 and quote Mercury Holidays. The cost of the visa through The Travel Visa Company is £105. The visas take around 10 working days to issue and are only valid for 3 months from the date of entry. Therefore we recommend that you apply for your visa 8 weeks before travel, however, please be aware that your passport will be required for the application to make sure that you will not need it during this time. You can also visit the Embassy of Vietnam in London: 12-14 Victoria Road, London, W8 5RD. If you have booked the Temples of Cambodia extension following your tour, you will need to purchase a visa for Cambodia costing USD $30 on arrival at the airport in Siem Reap. Please note that you will be required to bring a passport photo with you as well as USD $30 cash in order to apply for your visa on arrival in Cambodia. This visa information is a guideline only and is subject to change; up-to-date information regarding the process and fees will be advised at the time of calling the Travel Visa Company. Unfortunately we do not have any places with no single supplements on this tour, however if you are happy to share with another passenger of the same gender then let us know at the time of booking and we will endeavour to find you a travelling partner. Alternatively please ask about our single supplement prices in order to book your own twin room. 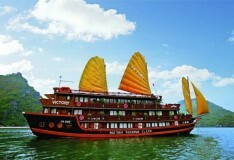 On the Halong Cruise you will either be booked into a twin or double room. All tour guides were excellent, the length and pace of the tour were good. Hotels were generally good but hotel Le Belhamy was very dated, the toilet was not very pleasant. It was in a dark, walled corner of the bathroom. It would have been better to stay in a hotel closer to the centre of Hoi An. Guides and Hotel were excellent. The guides were knowledgeable and thoughtful, overall we had a great time. Some of the hotels were excellent but some were 'very tired looking' and needing updating and decorating. All good with western breakfasts. Le Belhamy resort slightly run down due to more larger hotels being built close by. 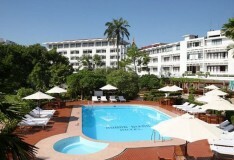 All the hotels were very good with large comfortable bedrooms, air conditioning and en-suite facilities. An unexpected additional bonus was the provision of bottled water each day. The breakfasts were excellent and we especially liked the ‘egg’ stations for freshly cooked eggs. All hotels were of high standard with large comfortable rooms and good breakfast. Le Belhamy rooms could be improved but the setting was excellent. All were very good. The brief stay for 3 days in Hoi An (Le Belhamy) in the middle of the holiday was extremely welcome as the pace had been quite hectic up till then and everyone appreciated the 'down time'. 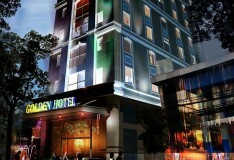 Saigon:	Golden Central Hotel – very central but very small rooms. No room to open suitcases, bearing in mind that we were only staying overnight and needed fresh clothes after travelling for 14 hours. Very small breakfast room that was very overcrowded with tour groups. Can Tho: Ninh Kieu 2 Hotel – Good hotel with large rooms. Large Breakfast room with good selection of food. Saigon:	Golden Central Hotel – as above. 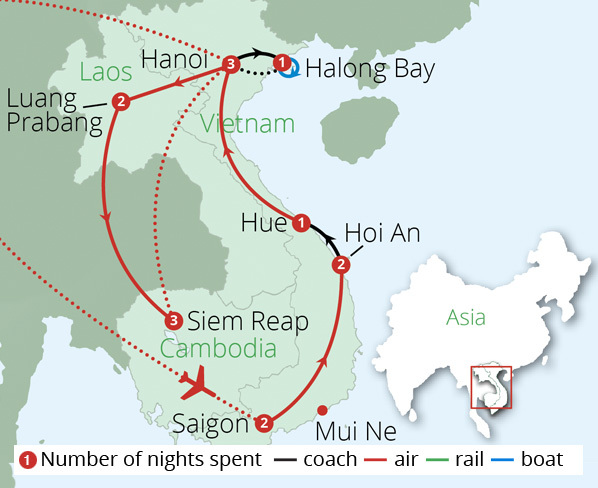 Suggestion would be to have two consecutive nights in Saigon and then travel to Can Tho which would reduce the need to change hotels for three successive nights. 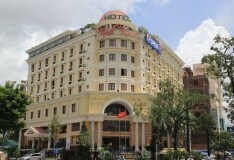 Dalat: Ngoc Lan Hotel – Good hotel in central position. Large breakfast room with good selection of food. Suggestion: Although 2 nights are spent at this hotel, due to the last arrival (8.00pm) and the early departure on the second day (7.30am) only 1 full day is spent as this resort. A third night would be appreciated with some free time. 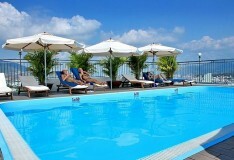 Nha Trang: Galliot Hotel – satisfactory central hotel – very busy with tour groups. This resort is overrun with Russian and Chinese visitors. It is impossible to walk around as the pavements are obstructed with parked motorbikes. Suggestion: This resort could be removed from the itinerary, giving the suggested extra day in Dalat. 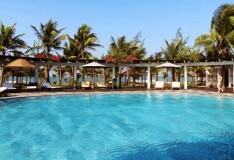 Hoi An: Le Belhamy Hotel – This hotel may have been rated 4* in the past but it certainly is not now. Hotel in need of update. Beautiful gardens. Ground floor rooms very dark, insufficient lighting. Large restaurant with good selection of food for breakfast. Adjoining beach very dirty with litter. Infrequent shuttle bus to centre of town. Hue: Huong Glang Hotel – Nice hotel, right on the river. Suggestion: a second night here with relaxation time. Hanoi: - Sunway Hotel – Good central hotel – good breakfast room. The beach resort was exceptional, as were the guides. The Ho Chi Minh city tour guide (Mr Nhan) and the Hanoi tour Guide (Mr Anh) were both excellent. Providing interesting commentaries and looking after the party extremely well. All hotels were of very good standard and had friendly and helpful staff. The hotel Le Belhamy in Hoi An went the extra mile when room staff noticed my partners birthday cards we came back that evening to find a lovely birthday cake in the room. A very nice surprise. The Golden Central in Saigon was good. We were moved to a new room with electricity as soon as we came back from a walk. The Ngoc Lan in Dalat was very nice except for the traffic noise due to being at the front of the building. The free standing air con unit simply could not cope and a fan would have been of more use. The Sunway in Hanoi had very grubby looking hallway carpets. On our first stay we were on the 9th floor and to be honest the room needed a new carpet and a lick of paint. On our return we were on the 7th floor and the room of a much better standard. The Tara in Siem Reap was by far our favourite hotel and we considered it the best of all. My wife has said it was one of the best holidays she has ever had. We have done a lot of travelling over the last 16 years and she doesn't give this praise lightly I can assure you. The hotels and most of the restaurants where of the highest quality and Mercury Holidays must once again be congratulated for producing a well-balanced holiday at the best value imaginable. Vietnam & Cambodia were not really the backward countries that we had imagined them to be. Our last four days in Cambodia seemed to me to be the 'cherry on the cake' of the whole 21 day Mercury Holiday's Splendour of Vietnam & Cambodia tour. 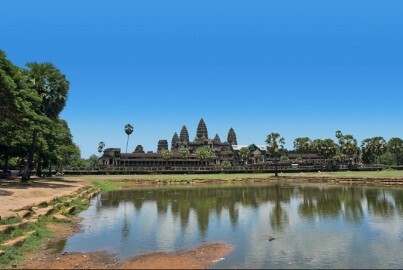 Angkor Wat& Thom and the Siem Reap area of Cambodia must certainly rate as one of the wonders of the world. We have always rated Mercury Holidays very highly and have always told our friends to give you a try. Mainly very good, but quality of the rooms in the same hotel varied quite a lot, seemed to be pot luck which one you got. Also drinks in hotels and some restaurants expensive. The hotels were all of exceptional high standard, way above expectations. The only meals in the hotels were breakfast which were excellent. The size of rooms, luxury and service were also excellent. All other meals were taken in local restaurants which were also extremely high standard and good to eat the local foods. Good choice of hotels, all providing a 4 star experience. The hotels were of a very good standard: spacious comfortable rooms; good breakfasts; well located; and good service. Informative. Helpful. Kind .Considerate. Polite. all hotels were excellent in every way. Very honest people . If anyone left anything in a room it was rescued very quickly by the staff. All the hotels we stayed in on the tour were of a very good standard with good European breakfasts. Extend your Splendours of Vietnam Tour with our extension to Siem Reap in Cambodia from 529pp. This extension includes visits to some of the most iconic and atmospheric sites in Cambodia, including the iconic Angkor Wat temple complex, the largest religious monument in the world.